Welcome back! 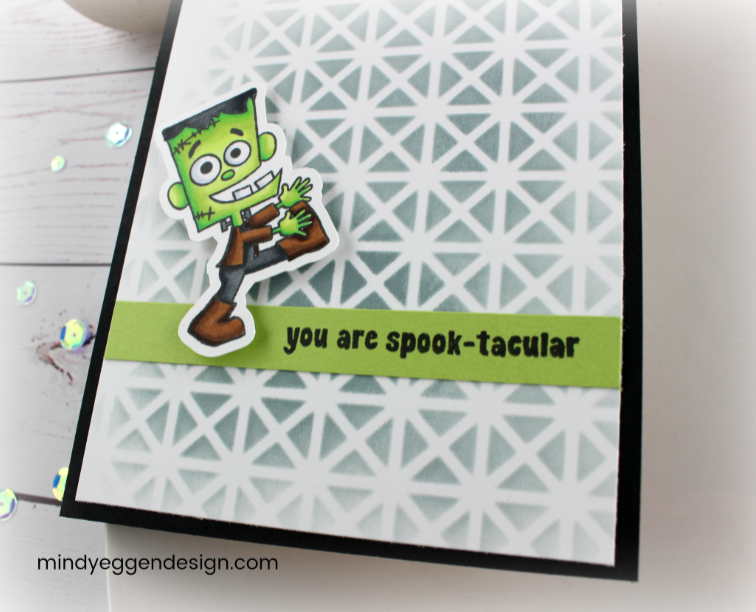 Today’s card is dipping into the Halloween spirit. I thought this stamp set had the cutest monsters! It’s called Spooktacular from Pink & Main. 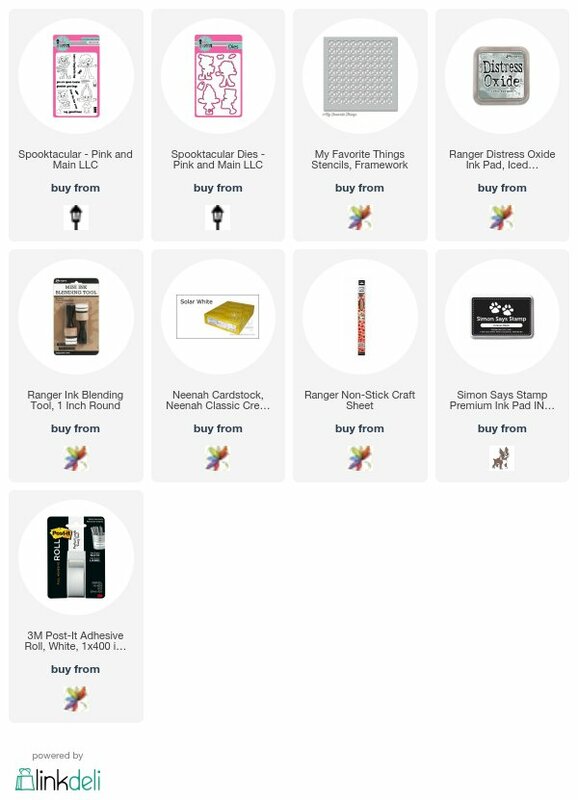 Supplies listed at the bottom of this post. The card itself is pretty simple. I started with a piece of Bristol smoth cardstock and stenciled in some color using the Framework Stencil with some Ice Spruce Distress Oxide. Next I stamped a sentiment on a strip of green carstock with some Black Ink. Then I stamped my image on some Neenah white cardstock and colored in with my copic markers. After that, I cut it out with my Scan n Cut. I added my stenciled panel to a black A2 sized card and attached my image onto of the sentiment strip with some foam squares. Easy Peasy! oh this card is the cutest every Mindy. I need to add that stencil to my collection, darn you. LOL. 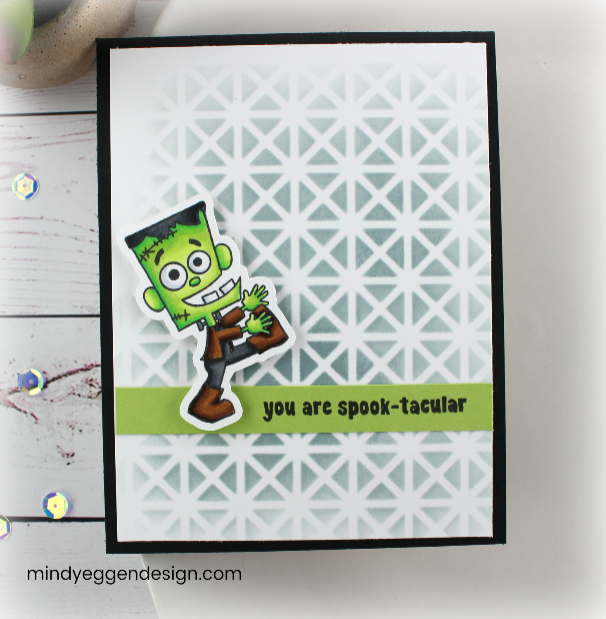 That's a fun Halloween card !! You did a great job with that ombré background.